Aditya Ojha (Batch 2017) secured 3rd position in 100m category and 400m. Pragya Agarwal (Batch 2017) secured 3rd position in 100m and 1st position in 200m. 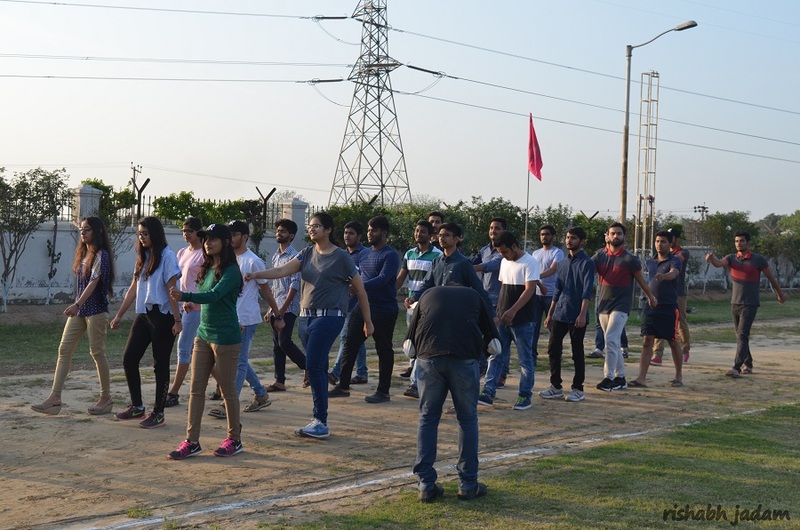 A Relay team comprising Aditya Ojha (Batch 2017), VivaswanDeekshit (Batch 2017), Nitish Joshi (Batch 2017) and Mohit Shukla (Batch 2017) secured the overall 2nd position. The Girls Basketball team comprising VaidehiKohle (Batch 2017), Pragya Agarwal (Batch 2017), Aditi Sharma (Batch 2017), KhushiAswal (Batch 2017) and Bhanupriya Vyas (Batch 2017) secured the 2nd position. The Volleyball team comprising VedantDatey(Batch 2016), HimanshuKaswa (Batch 2016), Nitish Joshi (Batch 2017), YashBorana (Batch 2017), SafalSethi (Batch 2017), Aditya Ojha (Batch 2017) and Manthan Sharma (Batch 2017) secured the 2nd position.